Our mission at Falah Capital, Inc. is to promote our Exchange Traded Funds (ETF) business as a cost-effective and efficient means of Socially Responsible Investing (SRI) in the United States. While this is one of fastest growing forms of themed investing with over $15 trillion in assets. It has yet to make its mark in the ETF space. We believe this is because ETFs are predominantly Index trackers, and SRI Indexes tend to underperform the broader market. Additionally, ETFs carry much lower management fees than mutual funds, which are the primary investment vehicle in the SRI space. Making it difficult from a financial perspective for an SRI Manager to create a lower cost ETF that may have trouble matching the performance of the broad market. 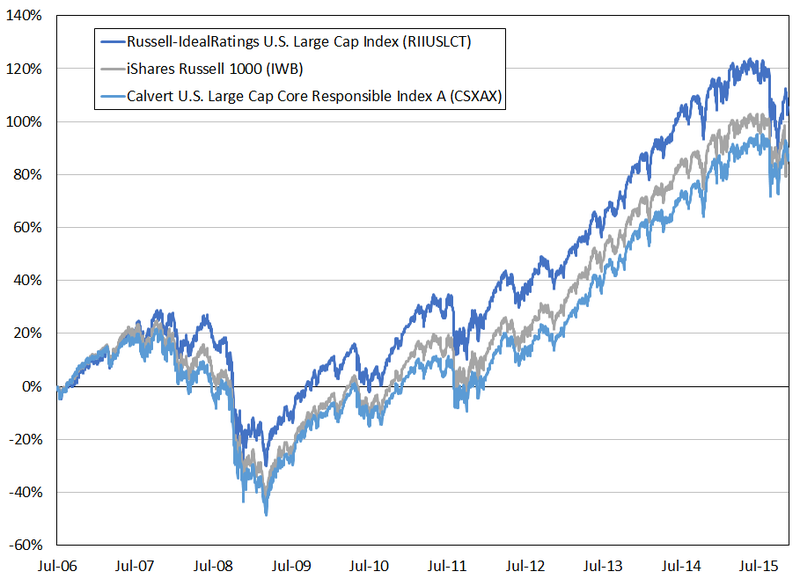 The iShares ETF and Calvert Fund are both constructed from largest companies in America. Both have a matching track record and similar a weighting methodology, but vastly different returns and cost structure. Amounting to a 40% performance difference since the year 2000. 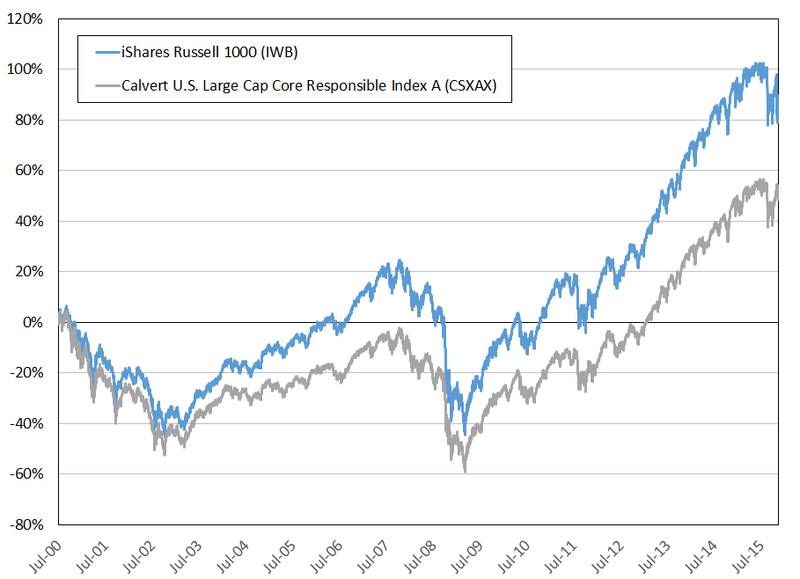 The Calvert Fund goes through screening to remove unethical companies from the pool that, gives their Index allocation about 30% fewer stocks than the iShares ETF. Making SRI Index investing match the broad market is our goal. 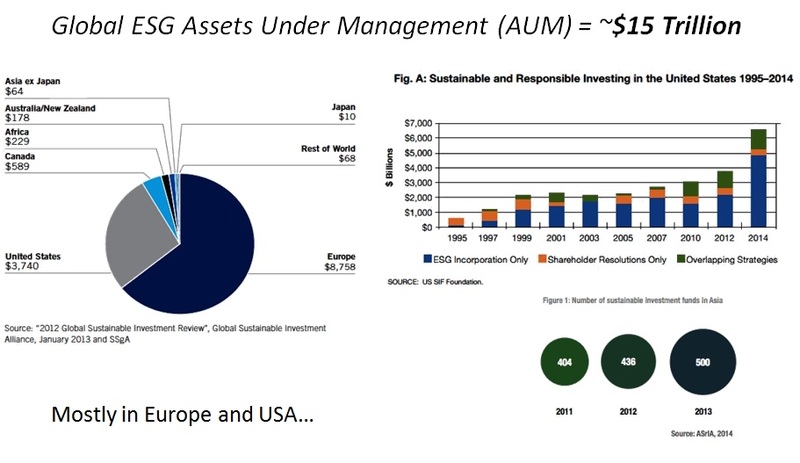 In the United States, there is more than $4 trillion in assets spread through, roughly 1,000 investment tools available within the ESG framework (Environmental, Social Responsibility, and Corporate Governance). Globally, this industry has over $15 trillion in assets under management. That is in a combination of funds, managed accounts, community pooled initiatives, and even retirement annuities. As Falah Capital follows exclusionary screening criteria. We are more accurately in line with SRI that places restrictions on investing in producers of products such as alcohol and tobacco. In this sector, at last count there were 445 investment vehicles in the U.S. with $1.76 trillion in assets. Most of which is in actively managed mutual funds. However, there are less 10 ETFs in this space with just $1.27 billion in assets (including our ETF: FIA), which represents a significant opportunity to grow our customer base. Through our efficient, cost conscious Indexing methodology. The U.S. ETF industry has over $2 trillion in assets and continues to grow steadily month by month. We feel that the charted products are our core competitors in the SRI space. As a whole, they combine elements that are present in our offering. Some are ETFs, others mutual funds with and without quantitative filters. Or third-party auditors to ensure investment activities are carried out as planned. Considering, that our ETF platform is ethical, risk-averse, low in cost, and maintains external oversight. It is our expectation that it will gain a great deal of support in the U.S. and abroad. Management Fee: An annual fee that the investment manager receives from deploying and monitoring the funds assets. Front Load: A commission charge applied at the time of the initial purchase for a mutual fund. It is deducted from the investment amount and, as a result, it lowers the size of the investment. Back Load: A commission charge applied during the sale of a mutual fund. The fee percentage is generally highest in the first year and decreases yearly until the specified holding period ends, at which time it drops to zero. Redemption Fee: A commission charge applied to short-term owners in a mutual fund for particular time periods, commonly 30, 180, or 365 days. 12B-1 Fee: An annual administration, marketing, and incentive paid to distributors. It is considered an operational expense to increase assets. 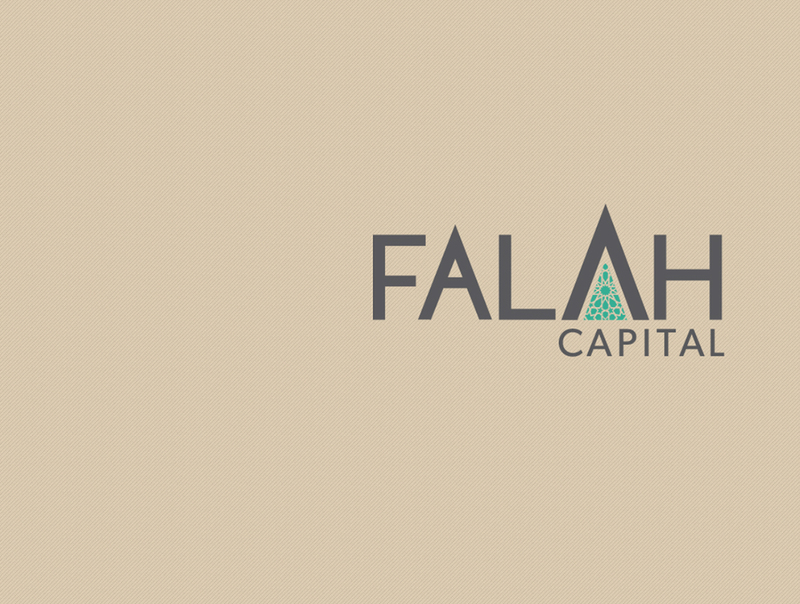 Falah Capital is a rules-based investment company. We forged strategic partnerships with IdealRatings and FTSE Russell. To launch our first in a series, of Index-based, Exchange Traded Funds listed on the New York Stock Exchange. The Falah Russell-IdealRatings U.S. Large Cap ETF (Ticker: FIA) was launched in late 2014. Our strategic partners have given us the ability to create ETFs that follow a clear set of dependable SRI rules. That places a premium on defining a company's risk characteristics. These quantitative rules are designed to remove companies with a high degree of debt, not enough income producing assets, and those that do not put their cash to work to expand their operations or increase their staff. 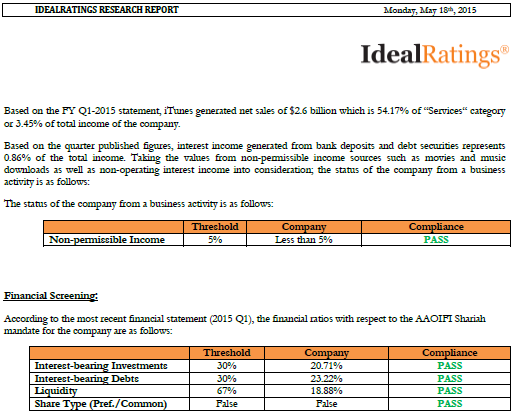 IdealRatings is a technology firm that screens listed companies around the world. Screening is a continual process to evaluate company activities and balance sheets. 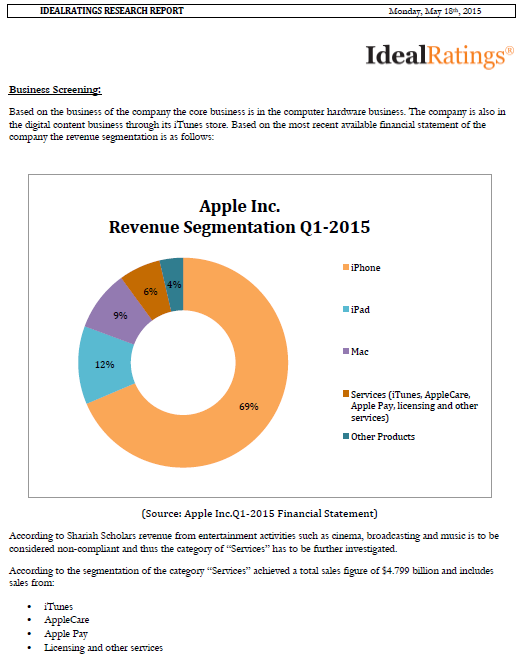 As shown in the Apple report below. To coincide with Falah Capital's investment rule book. FTSE Russell uses the findings from IdealRatings to create our rules based Index (a variant of the Russell 1000). The holdings within the Russell-IdealRatings Indexes may change on a quarterly basis. Meaning the Index adds and or removes companies based on their activities over the previous 12 months. Allowing our ETF to always hold the most appropriate stocks. This methodology applies to SRI, Ethical, and Islamic investors. These factors are the bedrock of the Russell-IdealRatings Indexes. The result is that Falah Capital ETFs promote social justice and have the ability to outperform the broad market (since Russell-IdealRatings Index creation in 2006). We will redesign our website to focus more on SRI themes. We will enhance our marketing materials and online adverting initiatives. We will concentrate on creating distribution networks in the U.S., Asia, and Arabia. We will strengthen our capital position, which will help us form a joint venture with a leading bank in Saudi Arabia. We charge a flat fee of .70% that is based upon the average daily assets in the ETF over the course of a month. Our platform has variable, and fixed costs that give it the ability create more ETFs with economies of scale as assets go up. The breakeven point and profitability on our current ETF begins after $38-million in assets under management has been reached. Thom has a diverse background in the investment management industry. 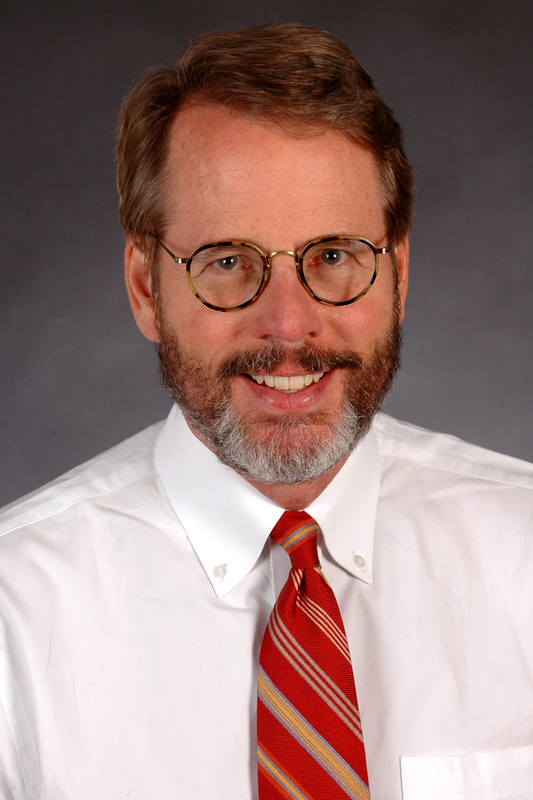 He has worked in research, portfolio construction, and strategy planning. Principally at financial institutions in Saudi Arabia after completing two graduate degrees in Islamic banking & finance. Bob has a diverse background in the investment banking industry. Having participated in transactions and financing of startups, healthcare companies, and insurance providers. Primarily in New York, Los Angeles, and Seattle after completing his MBA at The Wharton School. Mohamed is the Co-Founder & CEO of IdealRatings in San Francisco, which is the leading technical research provider, serving the Islamic finance industry. Also Co-Founded Cogency Inc., that helped numerous hedge funds reduce their operational and financial risk. Naif most recently worked as an Assistant Financial Analyst at the Saudi Agricultural and Livestock Investment Company. 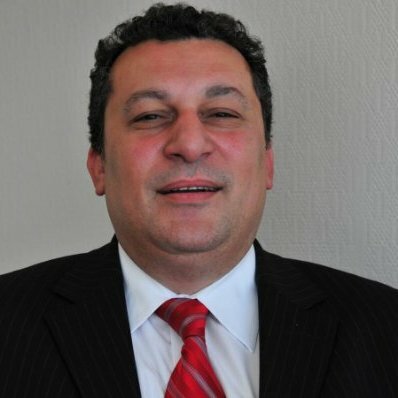 Also previously worked at Deloitte, Riyad Bank, and TCW Group. 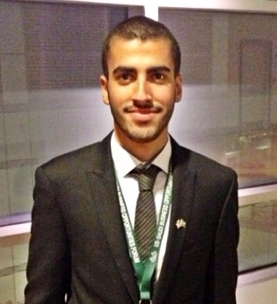 He is a finance graduate from Alfaisal University in Riyadh. Dr. Al-Hazzaa is Chair of the Ophthalmology Department at King Faisal Specialist Hospital, a Member of Parliment, and a Professor at Alfaisal University in Riyadh. She attained her degrees and training at King Saud University and John Hopkins University. Toby is Managing Director at Lombard Investments in San Francisco. Lombard is private equity firm dedicated to ethical investments, primarily in South East Asia. His experience also includes links to property development, transportation, and life sciences. Dr. Heller is a former Governor of the US Federal Reserve System, a past CEO of VISA International and, EVP of Fair Isaac Corporation. He also currently serves on the Board of the Bank of Marin and Sonic Automotive, Inc.
Tom is the CEO Access Business Finance and founder of Enterprise Bank that was acquired by Washington Mutual. 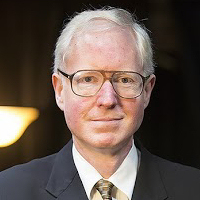 He is a past Director of the Federal Reserve Bank of San Francisco and successfully grew Gibraltar Savings, into a bank with $2 billion in assets. Dell is Chairman of the Weatherly Companies. A privately held investment bank, which has deployed more than $1 billion in alternative energy, real estate, communications, technology, and financial institutions around the globe. Malcolm founded Kibble & Prentice Financial, which was a leading venture investment banking firm in Washington State. He is also a trustee at The Dean Witter Foundation that is principally focused on supporting education and wildlife conservation. What are the differences between Islamic and Socially Responsible Investing? Why is Falah Capital creating ETFs, instead of Index-based mutual funds? ETFs carry no minimum investment and have much lower fees than mutual funds. Being Index based, ETFs move with the market, provide greater diversification, and can efficiently give exposure to other countries or asset classes. ETFs are liquid and trade just like stocks. U.S.-listed ETFs are owned by people and institutions all over the world. Additionally U.S. ETFs can be listed on many foreign exchanges to enhance distribution. Aside from FTSE Russell and IdealRatings. Does Falah Capital have any other operational partners? We work industry leading financial partners to ensure our ETF is efficient as can be. Those being: US Bank Fund Services – Administration, custody, legal, and compliance. Mellon Capital Management – Fund manager and index replication provider. KCG – Lead market maker, liquidity provider, and trading facilitator between FIA and the NYSE. 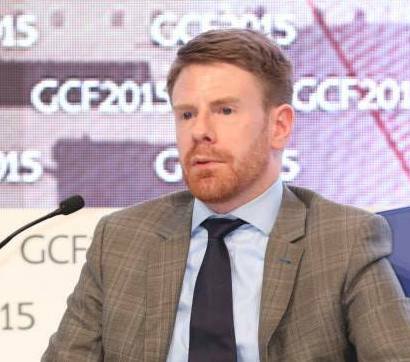 What additional plans does Falah Capital have in store? Creating additional ETF strategies for other sectors and asset classes. Listing our ETFs on foreign stock exchanges (Malaysia & Saudi Arabia). Promoting wealth management and retirement planning services for SRI investors in America. Enter your name and email, and we’ll let Falah Capital know you’d like an introduction. You will now receive updates for Falah Capital.